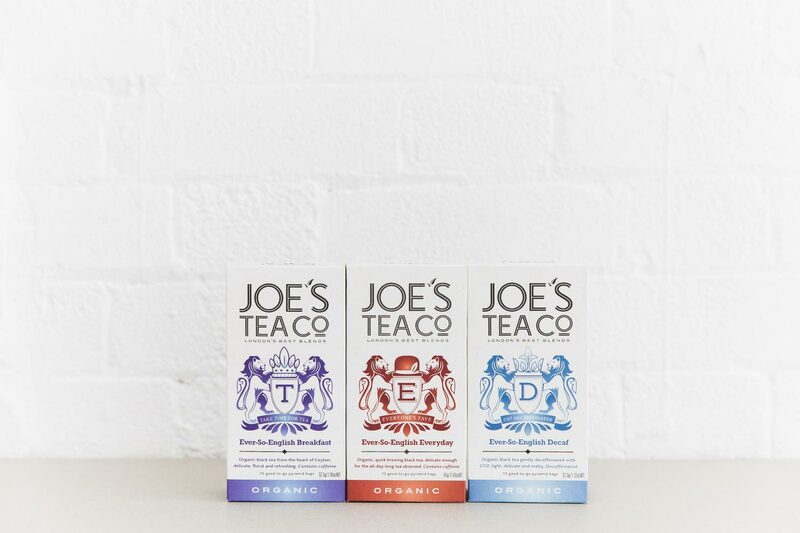 The original of our organic Ever-So-English family is our Breakfast tea. Joe chooses Ceylon tea for it’s delicate, floral and moreish flavour profile, and it remains our best-selling tea by a country mile. Since launching almost six years ago, the time has come to extend the family with two exciting new blends. The first, Ever-So-English Everyday is a quicker brewing organic black tea made specifically for busy service and take-away environments, or those wanting a slightly heavier and full-bodied tea. The ultimate hit the spot cuppa. And the second, Ever-So-English Decaf is a deliciously light and malty, gently CO2 decaffeinated organic black tea full of flavour but with less caffeine*. We selected a decaf that uses a CO2 decaffeination process because it’s kinder to the flavour and the environment. *please note that decaffeinated tea contains small amounts of caffeine.